Suffolk slip-on one piece plunge with deep v-neck, and X back. 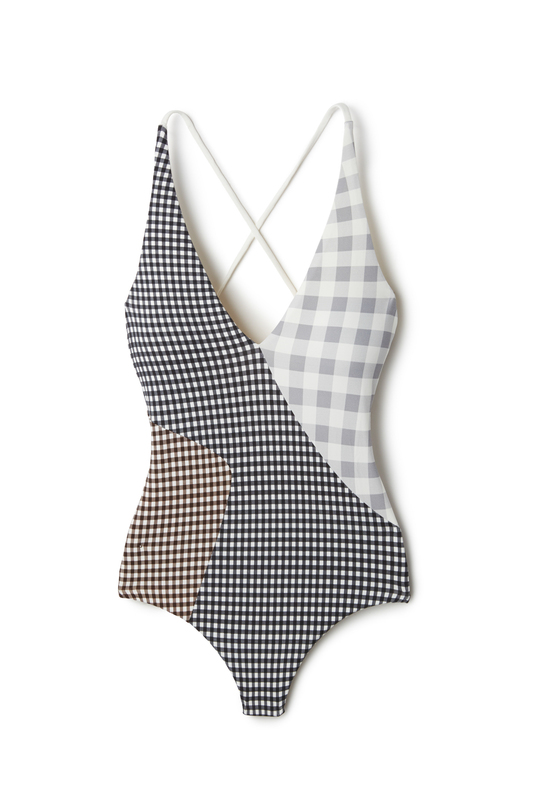 Features patchwork gingham and checkered patterns. Marysia pieces are made from premium Italian stretch fabric and cut by hand in a couture factory to ensure luxurious fit and quality.